London, UK, (August 1, 2006) -- An exciting Spring/Summer 2007 fashion collection season lies ahead for London Fashion Week. While the catwalk schedule is still being confirmed, preliminary plans indicate that there will be a captivating, innovative and well-rounded schedule of events in September. Plans for the Exhibition @ LFW are also shaping up very well, with a focus being placed on attracting some new names like Orla Kiely and Allegra Hicks as well as hosting themed spaces. Estethica, a 100sqm showcase for fashion designers who are also ethical reflects a growing trend towards increased social responsibility. Additionally, the Exhibition will be welcoming a space displaying highlights from the U.S show Designers & Agents. The venue for London Fashion Week will remain the Natural History Museum. Significant improvements will be made to the BFC show-tent for a lighter, more inviting and contemporary feel. Many French designers are taking part of this London Fashion Week 2006 such as "Mon Petit Oiseau", "Les Nereides", "Jean Pierre Costes", "Laurent Guillot". London Fashion Week will be taking place from September 18th – September 22nd at the Natural History Museum. 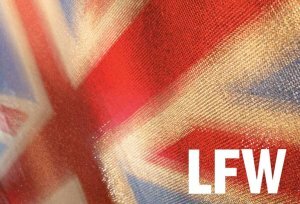 The Exhibition @ LFW will take place from September 19th - September 22nd.